Glad your P2P portfolio is going well! I recently started my Lending Club account and have been impressed with the returns, especially in today’s zero interest rate world. I haven’t had any defaults yet, but expect with my mix of notes to also be in the ~9% range after a year. I hope it’s sustainable in the long run. 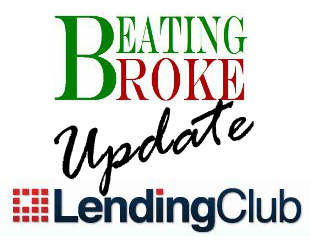 The one benefit of investing Lending Club directly, now that you can, is the automated investing. You just set your criteria for selecting notes, and whenever new funds are available, they are invested in a note that qualifies for your stated criteria. Certainly easier than having to log in once a month to do it manually and have your money sitting idle all that time.